How Can Financial Stress Coaching Help You? If you’re looking for someone to help you tame your financial stress and your anxiety about money, you’ve come to the right place. Welcome. Three in four Americans experience financial stress at least occasionally, but it is more common among women – and women are more likely to turn that stress into self-criticism and anxiety. The problem is that when you feel stress around money, it can make dealing with your finances unpleasant, even frightening. It becomes easy to postpone even simple financial tasks – but then you wind up in a vicious cycle. Your finances can become even more disorganized, and you can feel even more anxious and out of control, and even more averse to getting a handle on your financial life, and so on. The good news is that coaching is uniquely suited to helping women tame financial stress and anxiety, because it helps build self-confidence and clarity in areas of life that may feel confusing and intimidating. Coaching is uniquely effective as a tool for helping people get “unstuck” and take charge. Studies have shown that one of the fastest ways to reduce financial stress is to engage with your finances – get your arms around what you have, what you want your money to make possible for you, and what you need to do to achieve that goal. 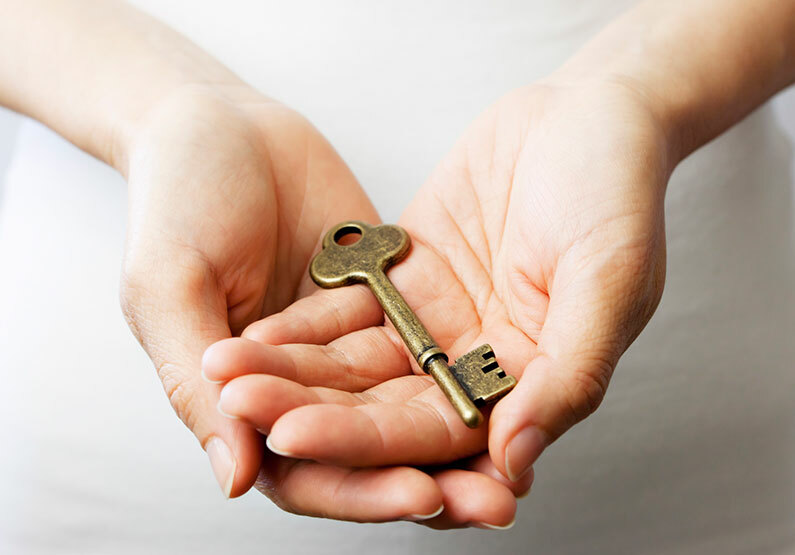 As your financial stress coach, I will empower you to progress through that entire process. I will help you stop dwelling on past financial choices, gain clarity about your desired future, and map out action steps to improve your overall financial well-being. If you’re interested, but still not sure if financial stress coaching is for you, feel free to schedule a complimentary consultation so we can discuss your situation further. I look forward to meeting you! Kelley Holland is a highly skilled and insightful coach who had tremendous positive impact on me. After six sessions, I left with clarity about my current position and an action plan for the future. 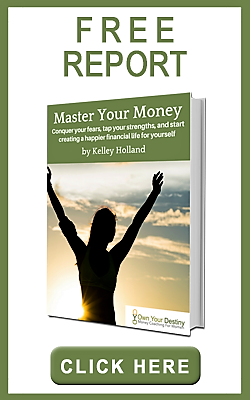 She helped me question some of my long-held (negative) beliefs about money, and I came away with new hope and purpose. I can’t recommend Kelley highly enough.